What we have here is another LG appliance. As you can see from our top 3, LG is one of our favorite brands. 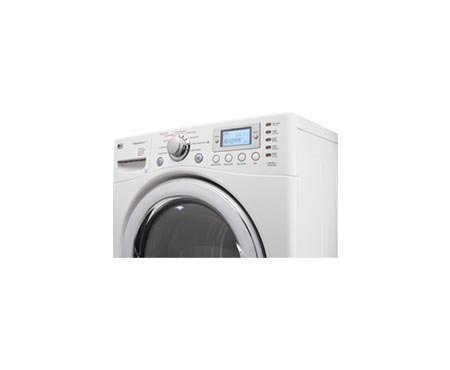 LG WM3988HWA is Energy Star rated combo that utilizes multiple integrated spray jets and direct-drive motor in order to provide maximum energy efficiency and quiet operation. It washes and dries clothes using 9 wash and 5 wash/dry programs. The steam cleaning cycle helps you eliminate the allergens from your clothes, which means you and your family can breathe more easily. Capacity (cu.ft. ): 4.2. cu. ft. The LG SteamFresh Cycle helps refresh your clothes and reduce wrinkles. With Custom Program, you can save your favorite program. SenseClean System is another plus as it sets wash time and water level automatically for the optimal wash.
Sanitary Cycle gets bacteria and tough stains with water at 158 F.
Allergiene cycle reduces certain allergens like pet dander and dust mites. Anti-vibration motor, one-piece cabinet structure and LoDecibel Quiet System reduce noise. Washing convenience with the Delay Wash option by 19 hours. Wash/Dry Programs: Sanitary, Perm. 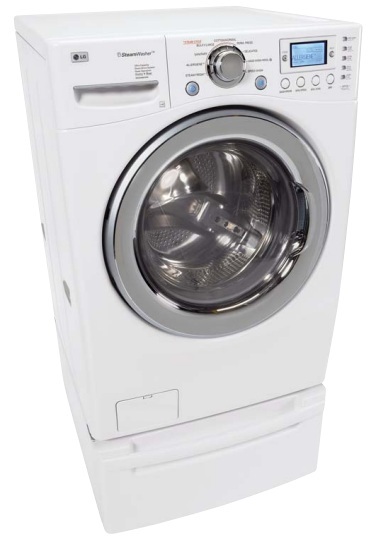 Press, Cotton/Normal, Allergiene™, Speed Wash.
Options: Prewash, Rinse & Spin, Stain Cycle, Extra Rinse, Drum Light, Water Plus, Tub Clean, Delay Wash up to 19 hours, SpinSense™, Steam, Language Selection. Tray Dispenser: 4 Tray Dispenser: prewash, main Wash, bleach, softener. Materials: Porcelain cabinet top, chrome door rim, painted steel cabinet, plastic control panel. Intelligent Electronic Controls with blue LCD display. 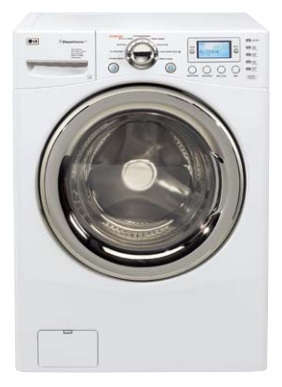 You can program and delay a wash.
Great for those who have allergies. Some users claim that the clothes come out twisted and wrinkled. The labor and parts are pretty costly. Conclusion: Yes, it’s friendly and easy to use, and plus, it’s LG. But still, the features and quality of dry are not so great. A normal wash/dry cycle takes about 3-4 hours, which is not bad at all, but the wrinkles, the quality of dry and price are drawbacks. For the cost of this combo, you’d expect an appliance way better, right?